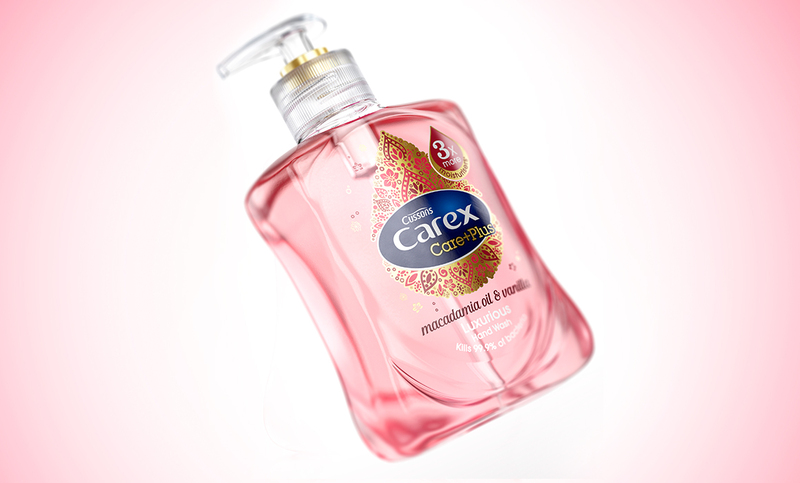 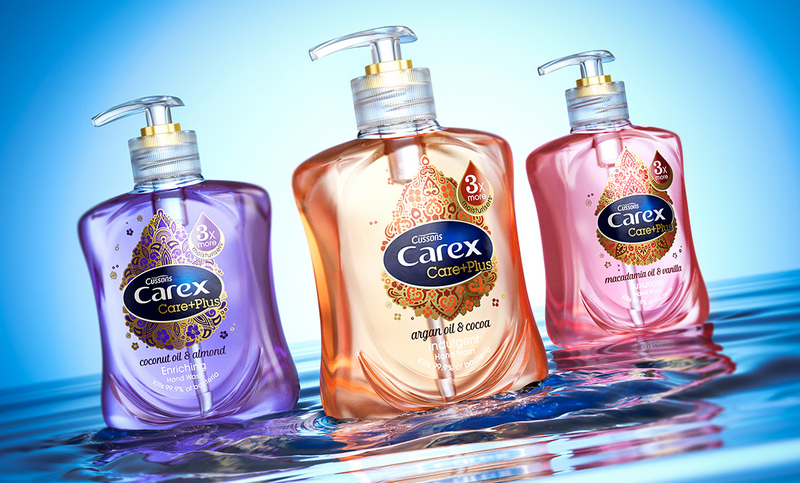 Carex, the UK’s no.1 hand wash brand, approached us to help them launch a new range of premium hand washes, Carex Care+Plus. A range of 3 new variants each featuring extracts of popular oils, designed to be more fragrant and with more skin conditioners than previous ranges. 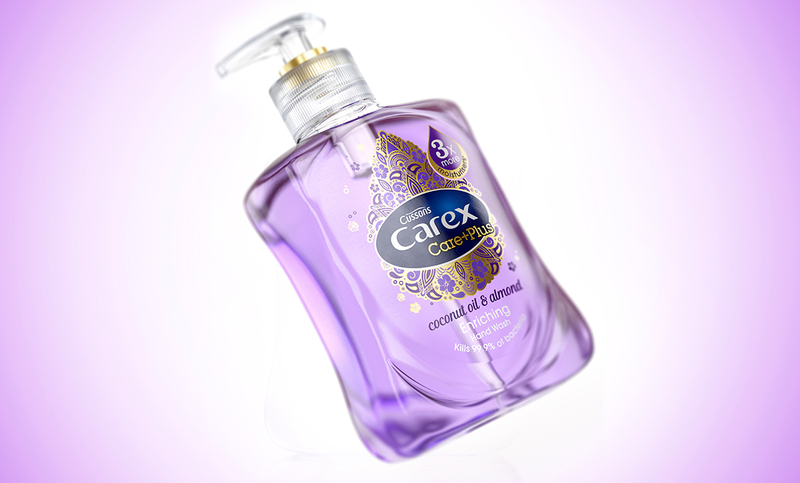 Hailed as a liquid gold for your hair and skin, oil inclusions is a bathing and beauty category hot trend. 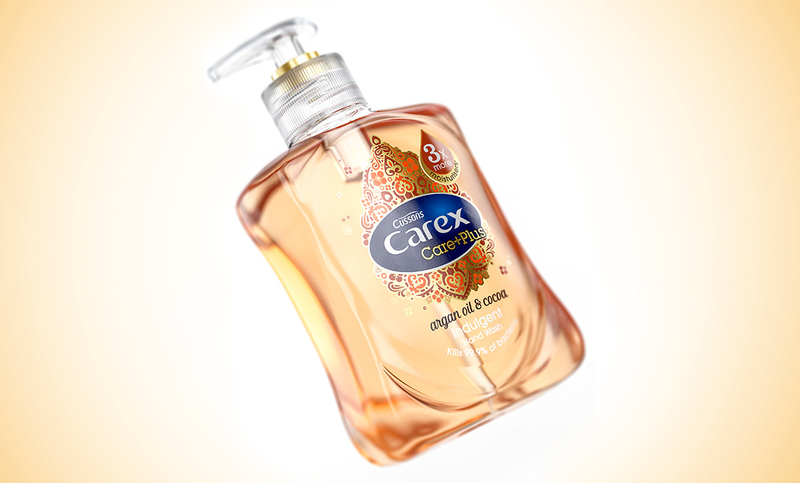 Drawing inspiration from the exotic fragrances within each bottle, we created individual designs evocative of Morocco’s Moorish architecture, Sri Lankan Henna designs and Polynesian Tribal art from Hawaii, all encased in a luxurious gold foil droplet.